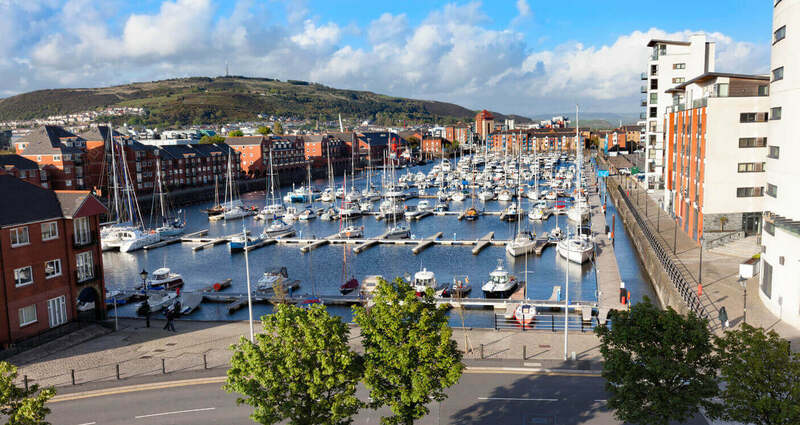 If you’re looking for car leasing opportunities near you in the Welsh coastal city of Swansea, then you’ve come to the right place! At Complete Leasing, we are based in Llansamlet, South Wales, and we are available to discuss your leasing options via phone, email or through one of our social media platforms - Facebook, Instagram, Twitter and LinkedIn. Don’t hesitate to get in touch with us today - one of our experienced and friendly representatives will be able to help you as soon as possible. If you can’t quite find what you’re looking for in our extensive online catalogue of lease deals, then give us a call and we’re sure to find you something suited to your exact needs and budget. Or if you’d simply like more information about leasing and how it works, feel free to get in touch and ask us, obligation-free! 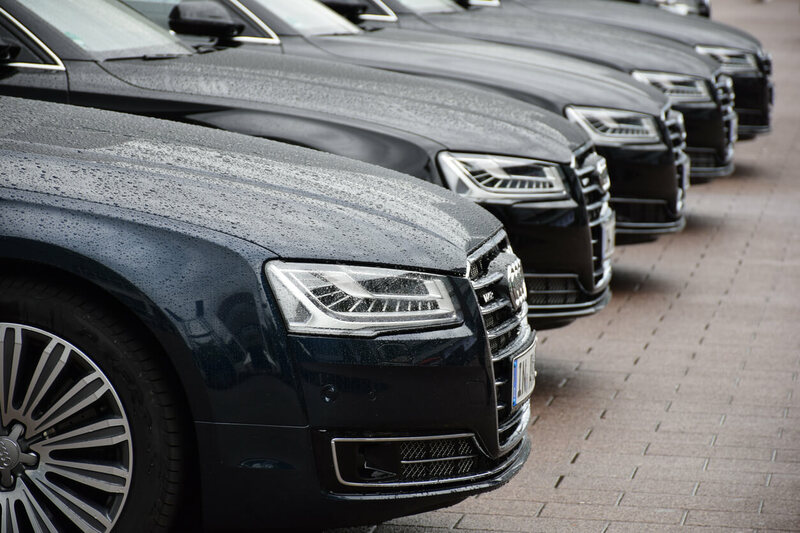 Our advisors and representatives are car leasing specialists and provide people in South Wales and the rest of the UK with brand new leased vehicles. 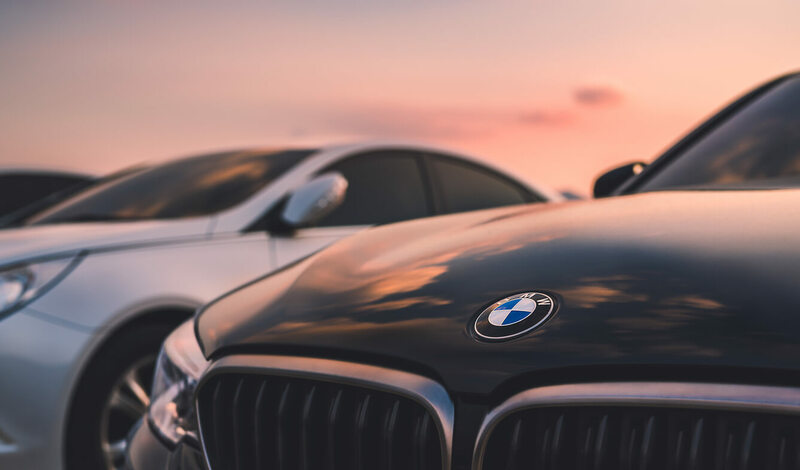 The process of car leasing is easy and hassle-free with us, and delivery to your UK address is quick and included in your lease deal free of charge. To be able to lease a car, you need to be 18 or over and hold a valid UK driving license and you need to prove that you have a good credit rating. 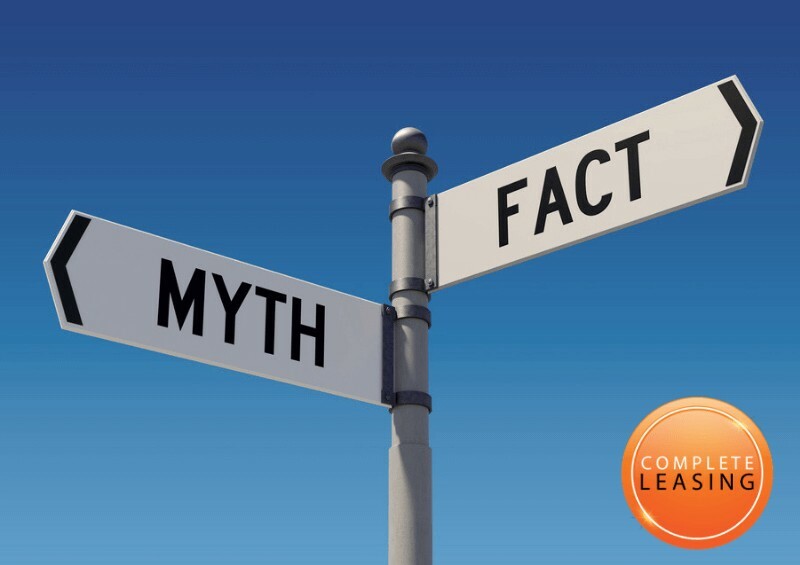 However, if you have a low credit score, Complete Leasing may be able to help you with a short-term leasing deal! 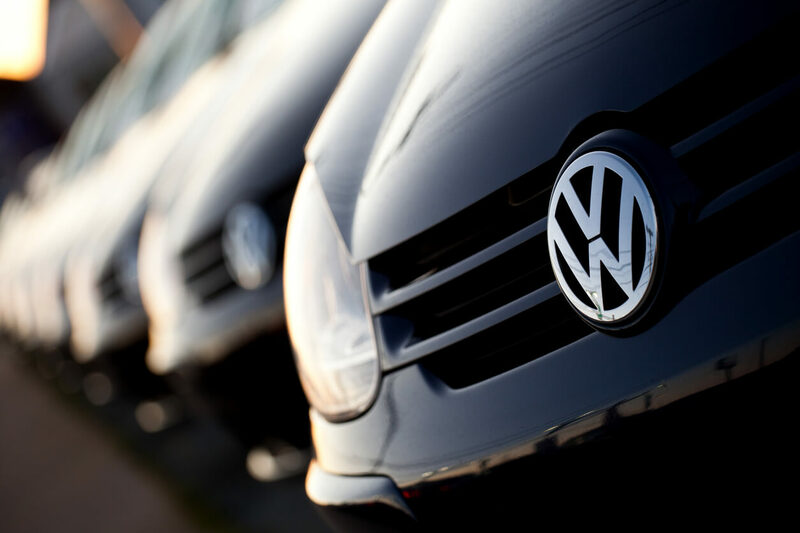 If you live near Swansea in Wales and are thinking of leasing, we have a wide range of options to choose from, such as personal lease deals, business leasing, short-term or longer-term leasing. Whatever you need, whether it’s a small electric city hatchback, large hybrid SUV, premium executive coupé, 7-seater family car or compact van for your business, we are sure to find something to match your requirements. Simply get in touch today! Depending on what you’re looking for and the amount of money you want to spend, both in terms of monthly payments and the initial rental (also known as deposit, but you don’t get this back), we can find a lease deal that’s suited to your budget. If you’d like to pay just 2 months initial rental payment upfront, or even no deposit at all, this is definitely something we can look into for you – we can work it so that the deal matches your preferred requirements. We have many cheap leasing deals available, from as little as £120 per month! It all depends on what you require, but we’ll do our best to find you the cheapest possible deal. While we are based in Swansea, our car leasing services are not limited to just Wales. We can provide lease deals to people all across the UK! Previously, we have leased to people as far North as Glasgow in Scotland and as far South as Portsmouth in England, so don’t hesitate to get in touch, no matter where in the UK you’re from. Leasing a car provides you with the opportunity of getting a vehicle that you really want (one you may not have been able to afford through buying outright) and makes it more affordable. So if you’ve always wanted something like a new Range Rover Evoque, now may be the time to start looking into leasing to spread out the cost! To read more about the advantages of car leasing, take a look at our guide - 15 Benefits of Car Leasing. 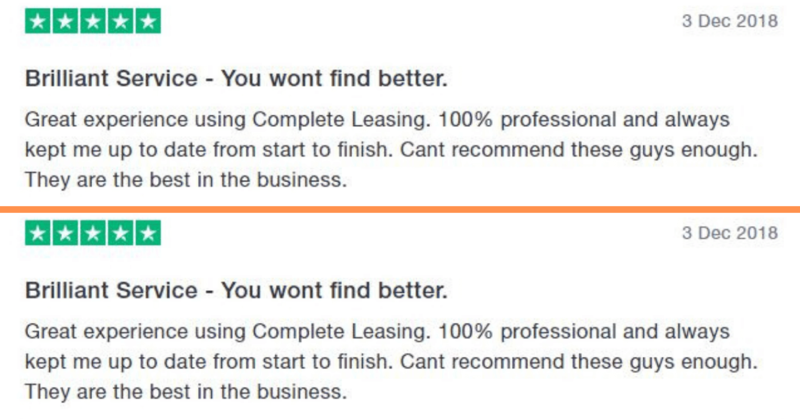 We aim to deliver top class customer service at all times here at Complete Leasing. If you’re unsure about the quality of our services or you’d like to hear what some of our previous customers have said, why not head over to Trustpilot to check out our reviews? It will help give you peace of mind and reassurance that you will receive top quality service from us and get the car you really want - all suited to your budget. Some of the comments from our previous customers include: ‘outstanding service’, ‘100% professional’, ‘best in the business’, ‘delivery of the vehicle was really quick’. We truly value our customers and always do our utmost to provide the best and most efficient service, so if that’s what you’re looking for, don’t hesitate to get in touch. One of our friendly representatives will be on hand to help with your query straight away. 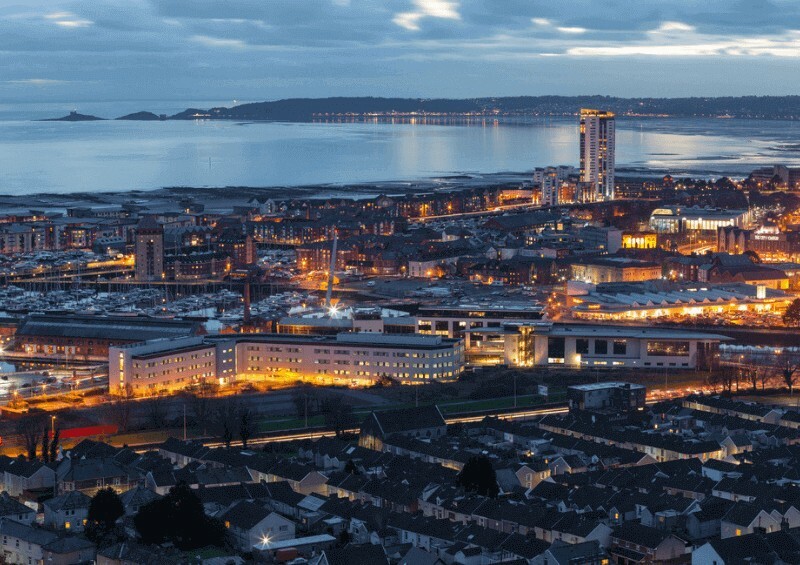 If you don’t live in Swansea, then be sure to visit!